Alma from 2011. My son comes home this coming week. That should be interesting. Mary MacADNski: I hope that is so. She has been glomming on to my male friends so I think she may be glad to see him this time. I would just love to know what is going on inside the head of that Siamese! I love the way she is looking at you Mary! Mary MacADNski: She is a lovable kitty. She's a beauty - of course! Such glorious eyes. I hope she's OK when your son comes back. 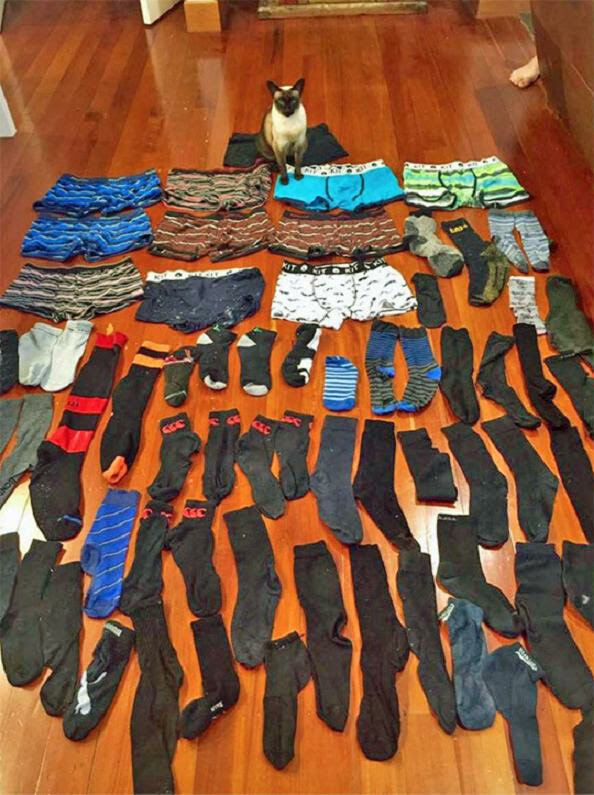 The underwear-stealing cat made it on to UK TV. Mary MacADNski: I think she might be missing him because she is jumping up on every male friend who comes into the house. what wonderful whiskers all around, Mary. have a memorable time ahead. Mary MacADNski: I hope he wants to go back home after all this time at Grandma's house. Mary MacADNski: Does he come home with clothing? I remember living near a beach in Massachusetts and the dog came home with a half cooked, sand-covered, steak stolen off someone's barbecue. 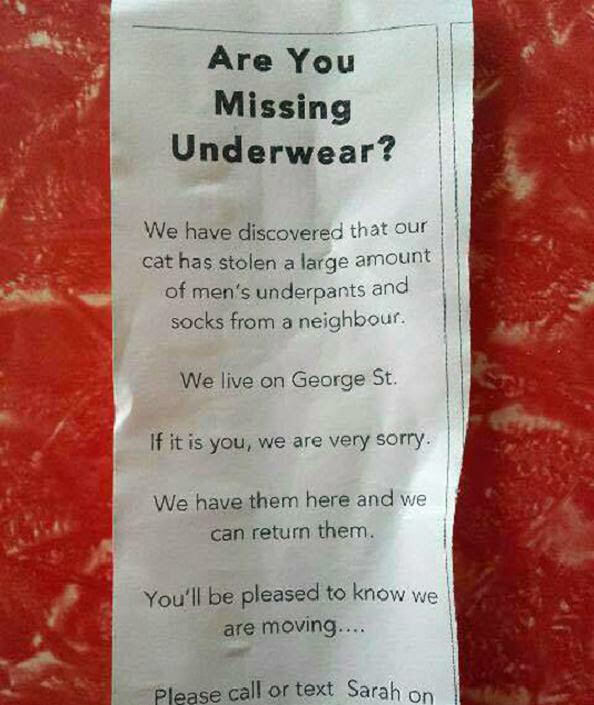 I didn't know cats stole neighbours underwear... lol. Mary MacADNski: You hear about it quite often. Bella my former cat carried laundry around the house all the time when she was a kitten but stopped at about a year and a half. Mary MacADNski: She is a very good kitty, the fair weather one of this winter's trio. Well behaved and very sweet and affectionate, just a little too much in the middle of the night. Mary MacADNski: Thanks, Tom. Lovely subject. What an absolutely beautiful kitty! And your poster is very funny. Mary MacADNski: Thank you. She is my son's cat and this shot is five years ago. Mary MacADNski: He is going to be home finally from his winter away. Alma will go home too. I hope you'll have a good - if interesting - visit with your son! Mary MacADNski: He will be taking Alma home for sure. I am sure it will take a few days to get the house stocked with food and supplies after a winter away. I hope we have her till at least the end of Thursday.